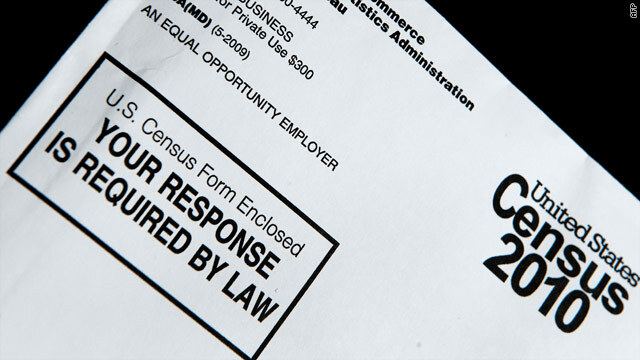 The census form is required to be filled out and returned to the government. (CNN) -- You've probably saw the ad campaign encouraging you to take 10 minutes to answer 10 questions and fill out your census form. The Census Bureau wanted everyone to put their completed forms in the mail by April 1, National Census Day. Why is it important to fill out the census form? The census, taken every 10 years, is used to determine how to allocate more than $400 billion in federal funds and how to allocate seats in the House of Representatives. "There is no representative democracy without it. It's the scientific, nonpartisan, apolitical starting point of what eventually becomes a quite partisan, political process," said Kenneth Prewitt, a professor at Columbia's School of International and Public Affairs and the former director of the Census Bureau. What happens if I didn't turn in my form? If you did not return it, a replacement form was sent. Some hard-to-count areas automatically received a second questionnaire. In addition, you may get a knock at your door from a census-taker between May 1-July 10. There are also legal ramifications: Under the law, it is a crime to not answer the census and courts can impose a fine of up to $5,000 for not responding. But the bureau says it will use that as the last resort. I never got a form. What should I do? Video: Census: Who am I? Your form should have arrived by mid-March. If not, call the Telephone Questionnaire Assistance Center at 1-866-872-6868, from 8 a.m. to 9 p.m. seven days a week through the end of July. Those who are hearing impaired are able to utilize TDD 1-866-783-2010. For information on assistance in languages other than English, click here. Census Day is not a deadline, so you'll still be able to send in your information after that date. What do I do if I lost my form? You can either wait for a replacement form, call the information line or visit a Be Counted location to fill out the form. After April 12, you'll be able to call and request a phone interview in place of filling out the form, a Census Bureau spokeswoman said. I sent in my information. What happens next? The Census Bureau will sift through your information and record the answers into its database. By law, it has until December 2010 to give population statistics to President Obama and until March 2011 to deliver information to the states. Call the Census Bureau's general information number at 1-800-923-8282. Worried about who sees your information? The Census Bureau is barred from sharing your answers with anyone, including the IRS, FBI, CIA or any other government agency. In addition, all employees take a nondisclosure oath and are "sworn for life to protect the confidentiality of the data," according to the bureau's Web site. Anyone caught disclosing information faces a fine of up to $250,000, up to a five-year prison sentence, or both.